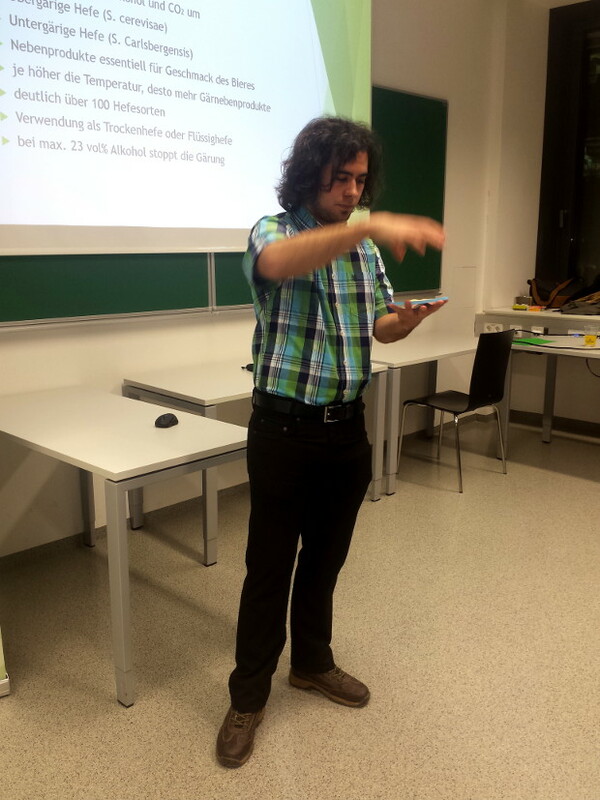 The talk about "Chemical and technological aspects of brewing" took place on January 24th 2017 at the TU Vienna. 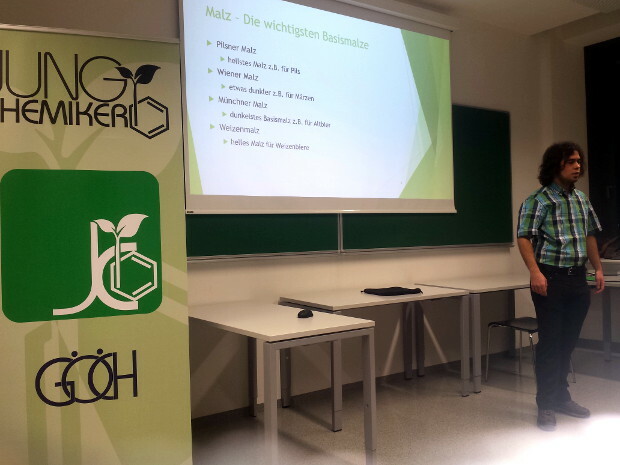 Hobby brewer Michael Leitzenberger BSc gave a great overview about beer brewing, focusing on both the theoretical and practical issues. Starting from the definition of beer, all the essential ingredients were named and the importance of each of them was cleared up. 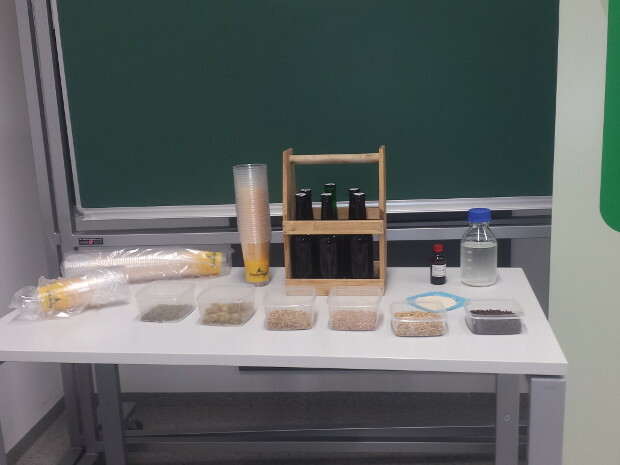 Further, the chemical and biochemical aspects and their impact on the taste and characteristics were explained. The lecturer then described the individual steps that are necessary in the brewing process. He especially focused on the differences of the procedure of big brewing companies and the smaller scale for hobby brewers. 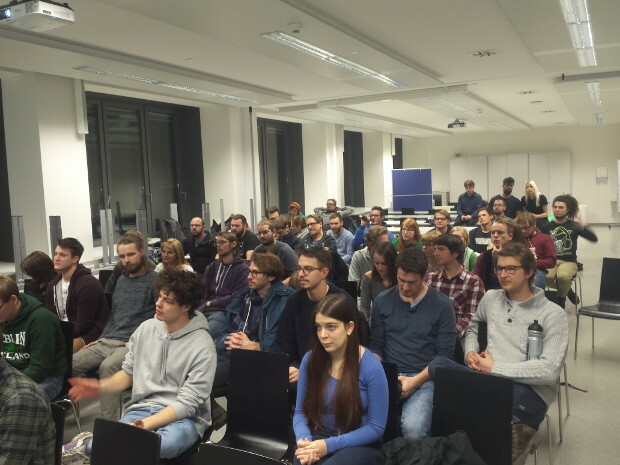 Finally, Michael Leitzenberger answered a big number of questions of the approximatetly 50 curious viewers. In the end everybody got to taste some home brewed "Zirben-Bier"